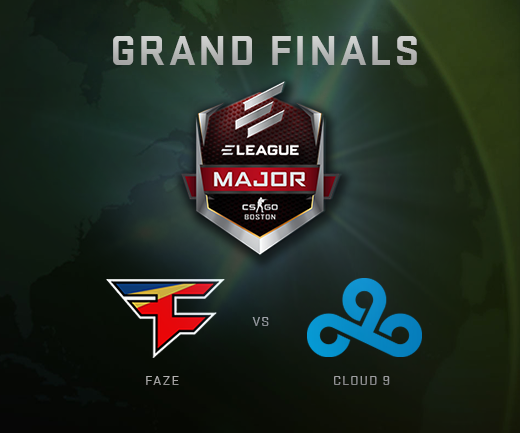 Congratulations to Faze and Cloud9 who will face off in Sunday’s Grand Final. Tune in to ELEAGUE’s twitch stream at 12:00pm ET (6:00pm CET) to see who will become the next Major Champion! Faze advanced out of the Semi-Final round by defeating Na’Vi in two games while Cloud9, bolstered by the home crowd, showed poise in their victory over SK in three games.